Some places may refer to a worksite wellness program but basically employee wellness promotes and supports the health, safety and well-being of your employees. 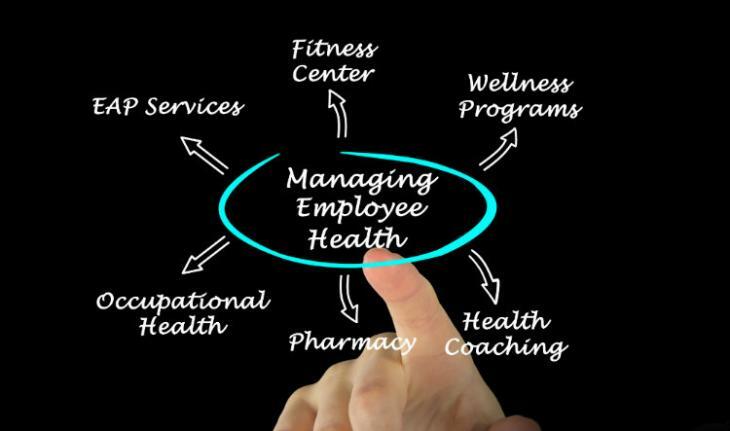 Why focus on employee wellness? Bottom line – the health and wellness of your employees is just good business practice. People – the human capital in your business – are your most important assets. The healthier your employees are, the more productive they will be. What impacts the work environment? An aging workforce where workers over 55 will make up 20% of the workforce in 2025 and whose physical ability may affect their safety on the job. Occupational stress affects mental and physical health, health behaviors, increased absenteeism and presenteeism. About 50% of Americans have one chronic health problem, such as diabetes. Chronic and pre-existing conditions are exacerbated by working in unsafe and unhealthy work environments and injuries may take a longer recovery time. Many of our workers are part of the “sandwich” generation where they are caring for both parents and children. MSDs are a leading cause of work disability. Fatigued workers have higher rates of illness and increased risk of injury on the job and 1 in 4 adult Americans is obese, which is a risk for occupational illness. As a safety professional, I’m talking more about how companies can move to a “total” worker health approach instead of handling occupational safety rules and regulations in a vacuum separate from wellness programs. There are many benefits to understanding not just the safety and health hazards of your work, but also how work can influence your employees’ well-being on and off the job. What employee safety or wellness policies, programs and practices do you have in place today that could easily combine to focus on the whole picture, the “total” health of your workers? Develop walking maps by measuring the distance in halls and around the building so employees will know how far they’ve walked. If you’re looking for a starting point in implementing a “total” worker health approach in your organization, start with NIOSH’s Essential Elements for Advancing Worker Safety, Health and Well-Being. It’s a workbook that focuses on the five defining elements of Total Worker Health®. •	Do You Have a Total Worker Health & Safety Program?